Solid Blue or Black prices with Brown shading indicates items available for 3-Day shipment. Solid Blue or Black prices indicates items available for 2-Week shipment. Solid Green model numbers or prices indicate items available for 24-Hour Shipment. Prices coded in light blue call for lead time. Prices coded in red ship in 4-Weeks. reducer. No. 40 roller chain to drive pulley. BED12 ga. steel formed troughed bed section with 1 in. Enclosed Fan Cooled C face. support. BEDHigher than 1 in. high vertical sides. BELTWhite Polymate 100 RPM COS.
Black Ultimate 140 SD Belt 1/2 HP-230/460V-3 Ph.-60 Hz. Totally Enclosed "C"
12 Ga. Steel Formed Troughed Bed Section with 1"
Length "A" Belt Width 4" 6" 8" 10" 12" 18"
Bed Width 4 1/2" 6 1/2" 8 1/2" 10 1/2" 12 1/2" 18 1/2"
"B" 9 1/8" 11 1/8" 13 1/8" 15 1/8" 17 1/8" 23 1/8"
NOTE: Available in 2 weeks on 4'-0", 5'-0", 6'-0", 8'-0", and 10'-0" lengths only. Lengths other than those listed require an additional 2 weeks. For longer than 4' overall length, add extra per foot to base price. Minimum length is 4'. Maximum length is 20'. For "IN-BETWEEN WIDTHS", use next width plus 10%. For widths up to 20-1/2" OAW, interpolate plus 10%. 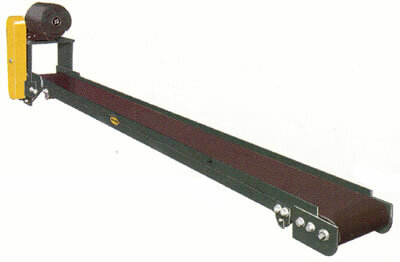 For widths over 20-1/2" OAW, contact us. Contact us for lead time. PCASU-12: Knee Braces included in price. Pilot Control or 1 HP max. single phase. #032.281...one side.................$5.42 per / ft.
both sides..............$10.73 per / ft. OPTIONAL: Mounting and Wiring Add-On . . .
 Add on price includes standard motor deduct.  2 HP Add On Price includes 5AC reducer upgrade.  All above motors are 230 / 460 / 575 Volt, 3 Phase. Junction Box, Controller and Motor. OPTIONAL: Mounting and Wiring Add-on . .
 Good for cycle rates of up to 60 cycles per minute.  230 or 460 Volt Only, Other Voltages, Contact us.  Motor Cooling Blower is 115 Volt, 1 Phase, 60 Hz. THIS STARTER LISTING MEETS TYPE "2"
ponent protection provides users with less down time and lower replacement costs. 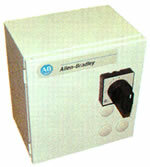  Above starters are in Nema 3, 4 and 12 Enclosures. Relay, and Aux. Contacts as required.  PRICING LISTED IS NOT MOUNTED OR WIRED. Push Button Stations to be Mounted and Wired.